This series of guest blogs will explore members’ motivations for joining the SSC, their experiences of implementing the Codes of Conduct and information on projects or initiatives which support them in their pursuit of progress on seafood sustainability. In this blog, Sarah Hussey explains how Sea Farms have collaborated with a variety of stakeholders to launch a Fishery Improvement Project (FIP) for Japanese flying squid. Sea Farms are part of the SeaFresh Group, an SSC member. With only one squid fishery in the world being MSC certified (achieved in May 2018), the term sustainability is not necessarily associated with squid – yet! In alignment with the Sustainable Seafood Coalition (SSC), Sea Farms have made the commitment to source seafood from only responsible sources. This means any seafood we supply to our customers, must come from a certified sustainable fishery or a fishery working towards becoming certified, typically through a fishery improvement project (FIP). 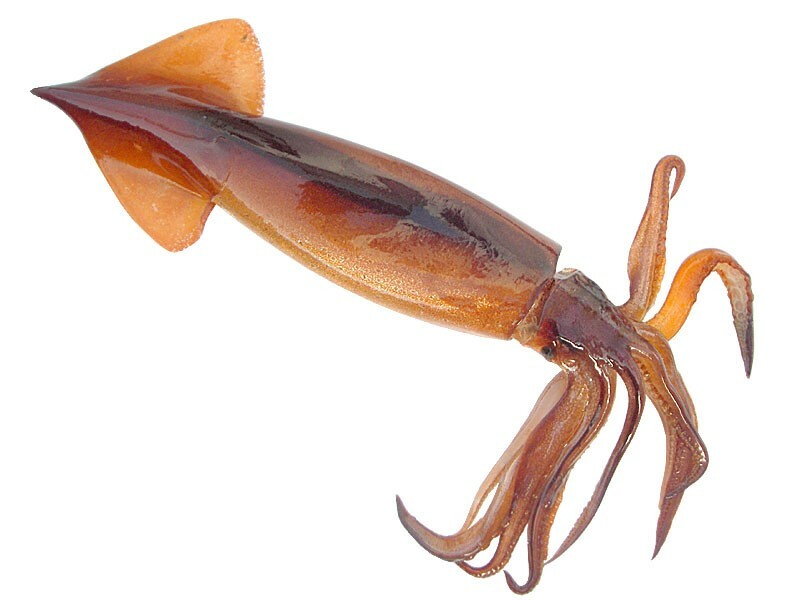 We source the popular Japanese flying (Todarodes pacificus) squid (JFS) from the trawl fishery in China, specifically in the East China and Yellow Seas. Efforts have been underway since 2015 with the not-for-profit Ocean Outcomes (http://www.oceanoutcomes.org/what-we-do/fishery-improvement-projects/east-china-sea-and-yellow-sea-squid/) to engage the fishery and establish a FIP with the overall aim of achieving MSC certification. Work to date includes an MSC pre-assessment and scoping document for JFS within our supply chain. Despite being short-lived and one of the most valuable commercial species, squid fisheries are often data deficient. Japanese flying squid typically live between one to two years and migrate along the Kuroshio current. The stock is a shared resource amongst major fishing countries including China, South Korea, North Korea and Japan. The JFS fishery faces many challenges such as lack of stock data, having a short fishing period coinciding with a lengthy summer fishing ban and a lack of traceability. Being in China, the language barrier and the political landscape can make it difficult to navigate sustainability efforts. However, earlier this month, 3 years of hard work came to fruition when the Japanese flying squid FIP launched in Qingdao. 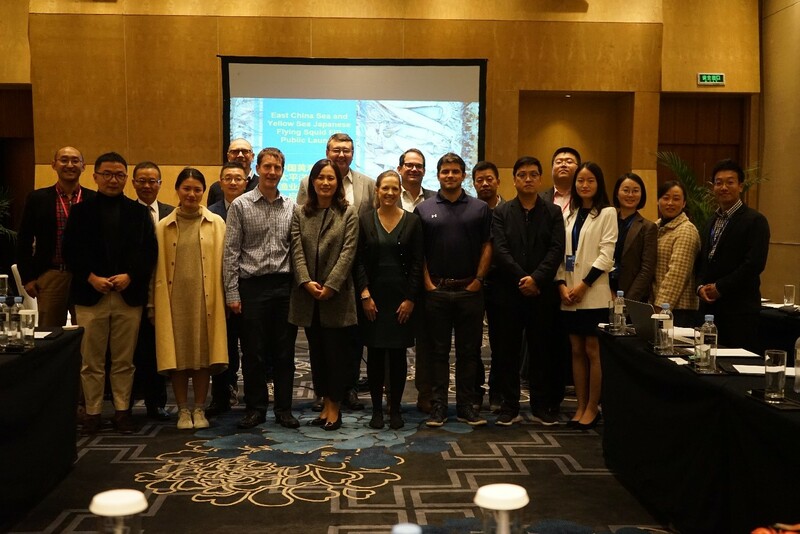 The launch event saw four seafood companies; Sea Farms, Panapesca, Quirch Foods and Seachill collaborate and sign up to the FIP, along with Chinese processors and fishing companies, and very importantly, the China Aquatic Products Processing & Marketing Association (CAPPMA). A variety of stakeholders involved in the FIP is essential to enable a collaborative approach for the progress of the FIP. We now look forward to the task at hand and for the JFS fishery to eventually becoming MSC certified. To find out more about the FIP, please visit https://fisheryprogress.org/fip-profile/east-china-sea-and-yellow-sea-japanese-flying-squid-trawl. This entry was posted in News on November 19, 2018 by Oliver Tanqueray.